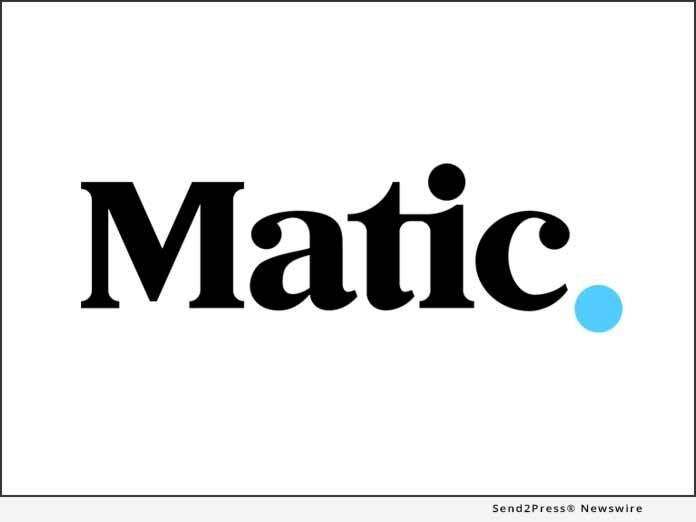 SHERMAN OAKS, Calif., Feb 26, 2018 (SEND2PRESS NEWSWIRE) -- Matic, a digital insurance agency whose technology enables borrowers to purchase homeowner's insurance during the mortgage transaction, is calling on mortgage lenders, realtors and insurance providers nationwide to support Housed & Hopeful, a public/private partnership with non-profit Mortgage Professionals Providing Hope (MPPH) that aims to house America's homeless families. "Every year, thousands of U.S. families experience homelessness. In fact, more than 50 percent of homeless shelters nationwide are occupied by families - despite nearly a third of homeless parents having a full-time job," said Jake Vermillion, director of operations for MPPH. "That means every day, an estimated 200,000 children in the United States have no place to call home." "Matic's corporate mission is to find a homeowner's insurance policy for every home. Now, it is our honor to partner with MPPH to help find a home for every family," said Matic CEO Aaron Schiff. "We are proud to kick off the challenge by pledging to house four families in need, and we're calling on our friends in the industry help families on the path to affordable homeownership." For every $1,000 raised as part of the Housed & Hopeful challenge, MPPH helps one U.S. family get off the streets and into permanent housing. To give to the Housed & Hopeful challenge, visit https://matic.causevox.com. For information about individual and corporate partnerships with MPPH, visit https://www.mpph.org. Matic is a technology-driven insurance agency focused on helping lenders and loan officers better integrate homeowner's insurance into the lending process. By using loan application information and first-of-its-kind technology, Matic provides homebuyers multiple policy options within seconds, helping loan officers close their loans faster. Matic delivers the most trusted, affordable insurance policies available thanks to its partnerships with a diverse network of insurance carriers. Today's borrowers expect a digital home-buying experience, and Matic gives them the digital insurance experience to match. For more information, visit https://matic.com/ or follow Matic on LinkedIn. Mortgage Professionals Providing Hope (MPPH) exists to provide mortgage companies and professionals with opportunities to help people and communities in need through sustainable aid and service projects. For more information, visit https://www.mpph.org.